“Sousreality” is a pair of connected spaces linked through the metaphor of a crystal ball. In the SIGGRAPH gallery is a crystal ball that peers into Second Life, and in Second Life there is a crystal sphere containing a real-time inside-out vision of the gallery. The images of the spaces align visually and are also connected by audio. The metaphor of the crystal ball informs this piece in several ways. Crystal balls are a tool for seeing into an alternate reality, a reality that maybe has something to do with the future, or may simply be created by our own minds. This vision is available to anyone, but requires the interpretation of a mystic. Our crystal ball functions the same way. It requires our presence and manipulation to keep the connection clear and open. We see our role as technologists similar to the role we play in this piece - we are expected to interpret the lessons of Second Life to predict the future of virtual worlds but often feel no more skilled at this task than mystics attempting to interpret visions in a crystal ball. Through the larger form of the piece we address popular interpretations of Second Life. Virtual worlds are frequently described as subsidiary to the “real” world. We emphasize this by presenting Second Life as a world within a world, placing visitors to the gallery in a perceived position of power over the tiny avatars in the ball. 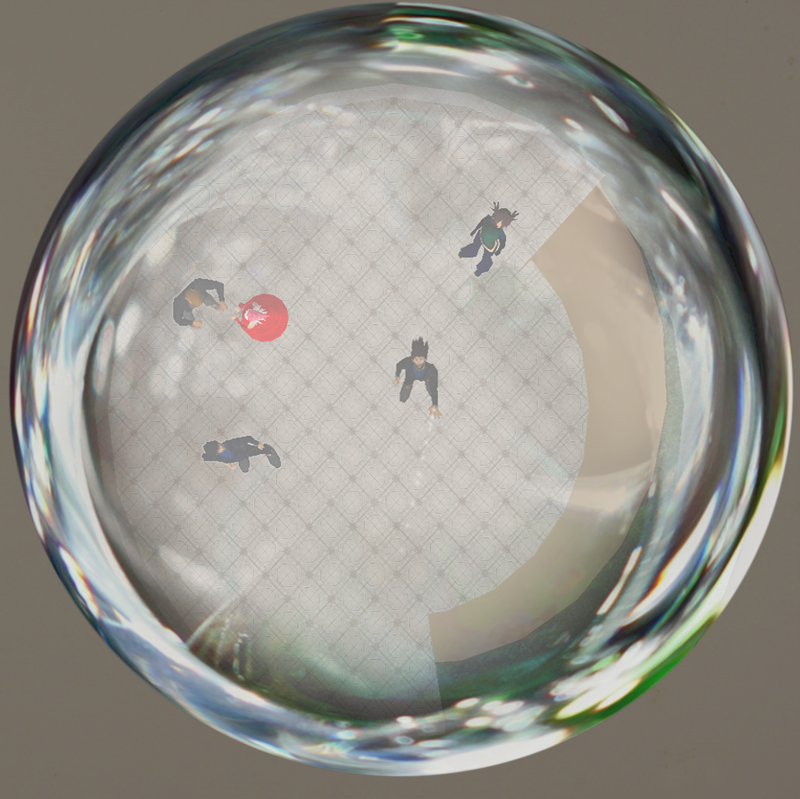 The audience is invited to gaze into the crystal ball and ask questions about the virtual world. The residents will happily answer, for a small fee, and we'll do our best to help them understand what they have to say and see what we can learn about the future in the process. Sousreality is work in progress - the concept described on this page doesn't exist quite yet. What you see in the video is a mockup. We'll probably be building the piece for real over the next 6 months, depending on a variety of things. If you want a tour of current mockup, feel free to email me (address below) or message me in SL at Zetetic Aubret. The land the mockup is on is shared with lots of other people who may not want lots of visitors, so we're hesitant to post a slurl right now. We'll update this page when we have more to show! We'd like to thank Judith Donath and Aaron Zinman for helping develop the concept. We'd also like to thank all the Second Life residents who helped us make the movie and screenshot - Jaydiem Eun, Toto Donat, JC Fremont, Maximilian Haas, Squee Janitor, Mikiko Miasma, Abby Okey, and Karolwojtyla Sobocinski. If you have any questions or comments, I can be reached at dharry at media . mit . edu.